Come to the Centro Cultural América in downtown Salta to pick up your badge and gift bag and check in for your Day of Adventure. All delegates must wear badges throughout the Summit to gain access to all sessions and events. Join your fellow delegates for a Day of Adventure. 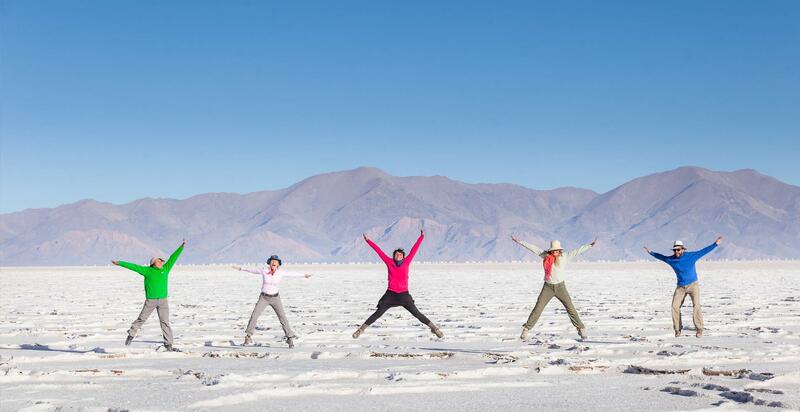 Get ready for adventure and meet new colleagues as you explore the incredible areas in and around Salta. The Summit venue is the Centro de Conventions Salta, which is about a 20 minute drive from downtown Salta. Shuttles will be running daily in the morning and evening only to and from the official hotels, listed on the Traveler Information page. If you are not staying at one of these hotels or if you miss the daily shuttle departures, call a taxi and be prepared to pay your driver in cash. Come to the Lobby of the Conference Centre to pick up your badge and gift bag. All delegates must wear badges throughout the Summit to gain access to all sessions and events. Opening welcome to the Adventure Travel World Summit from our Summit Emcee duo, our hosts from Salta and a welcome from regional indigenous representatives. Adventure’s Imperative: Unite. Protect. Lead. This November, one of the world’s greatest survivalists, Robert Swan, and his son Barney, will journey 600 miles to the South Pole — their trip powered entirely on renewable energy. They’ll be the first people in history to attempt such an incredible feat. The message underscoring their mission? If they can survive in the most inhospitable place on Earth relying only on renewable energy, then we as a species can do it everywhere. Not only is Swan a polar explorer, he’s also a leader in energy innovation and founder of the 2041 Foundation. His story is one of unbelievable spirit that takes us on a journey of inspiration, courage and humility; his upcoming expedition is the next chapter. Join us as we hear from this adventure icon about a vision for how our industry might help unite, build personal leadership skills among travelers, and create massive action to protect planet Earth. In 1949 scholar and mythologist Joseph Campbell wrote of what has since become popularized as the “Hero’s Journey” – a type of narrative appearing in drama, storytelling, myth, religious ritual and psychological development. The Hero’s Journey describes the arc of experience for a person who sets forth on a journey, encounters obstacles and overcomes them, and returns home transformed, and with the power to benefit others with his experience. The departure. 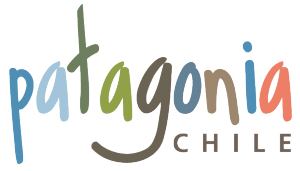 During the opening ceremony you’ll receive the call to adventure from indigenous community members of Argentina. Their traditional welcome will set the tone for the event and invite each of us on a professional as well as spiritual journey. The initiation. In the initiation phase the Hero is rewarded with insight, perception, and realization as a result of perseverance in the face of obstacles. Revel in the new insights and enhanced perception you gain when you are transported into the inner world of nature through your choice of two remarkable virtual reality immersion experiences: Treehugger and In the Eyes of the Animal. Touted by Time magazine as the “most mesmerizing virtual reality experience at the 2017 Tribeca Film Festival,” Treehugger is an interactive installation offering a cross-section of art, science, environmental conservation, and technology. In the Eyes of the Animal beckons delegates to explore the food chain through a cinematic 360-degree sonic experience, introducing woodland species, their visions and their worlds. Find seven minutes during the Summit to experience Treehugger or In The Eyes of the Animal near the Azores lounge. Open hours to be announced. Finally, the Return. Having linked arms with this global community during the Summit, it is always hard to return home, to regular life. This final session leaves us feeling energized to return home and carry the torch of adventure in our daily pursuits. During our closing plenary, Bella Gaia will provide us with a rare exploration of human civilization and our ecosystem through time and space as we prepare to return home, ready to unite, protect, and lead, each in our own way. The 2017 MARKETPLACE features 130 inbound tour operators and accommodations from around the world and provides a focused setting to connect with potential partners, hold business meetings and promote your brand. A global delegation of buyers (outbound tour operators, wholesalers and travel advisors) attend our marketplace as it facilitates quality introductions and product development discussions. Destination Showcase tables also offer in-person meetings with representatives from partneringtourism boards from their nations, regions and cities. What does it really take to partner across differences in a sustainable and meaningful way? This session will explore — at both the head and the heart level — the call to action for all of us to work well across the divides of ethnicity, gender, race, class, sexual orientation, age, and other areas of difference with grace and effectiveness. Join us for this interactive workshop and get inspired to get off the sidelines and use your own journey to model and support complex change and encourage others to make a difference. The intent of this session is to be a place for safe and meaningful dialogues, where everyone realizes their interest in being full partners in change efforts. Recognize unconscious bias in yourself and others. Commit to maximizing talent through inclusion. Build skills to more competently partner and lead across differences. Marketplace continues with its second set of meetings. Coral reefs around the world are vanishing at an unprecedented rate. A team of divers, photographers and scientists set out on a thrilling ocean adventure to discover why and to reveal the underwater mystery to the world. ATWS Delegates are invited to attend a special film screening of this new, award-winning documentary created in part by Larissa Rhodes and Mark Crawford, both of whom have been on ATTA Storytelling teams. Marketplace continues with its final set of meetings. Our bodies were created with an immense desire to experience the world around us. We are one giant ecosystem of senses living in a universe based on reciprocity. We experience personally and socially, internally and externally, consciously and unconsciously, willingly and unwillingly. While we live in a world saturated and engineered for distractions, our responsibility is to carefully orchestrate opportunities for others to experience the world in a new way. To push travelers’ boundaries and help them see the beauty in the unexpected and unfamiliar. In the midst of an exhilarating and energetic Summit, this meditative pause offers us a path to see the world with a new perspective using nature as a mentor, a mindset and an incredible source of profound experiences. 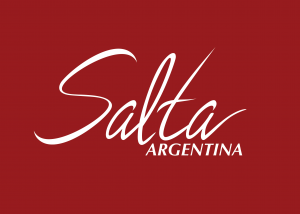 After the last event of the day, the night is yours to explore the beautiful city of Salta. Whether you call it football or soccer, any visit to Argentina must include it! Before our official agenda begins, join in a fun game of the national pastime with other delegates at the Summit venue. Delegates will group into two teams and we’ll have three 20-minute games. All are invited to come watch, and players should bring appropriate attire, along with several business cards as teams will be chosen by a business card drawing. Showers are available in the locker rooms at the venue. GOOOOAAAAALLLLL! Human lives are inextricably linked with the world around us, and its protection is essential for our survival. Already, though, more than 350 million people worldwide suffer from severe water scarcity. And, tragically, many biologists project that half of Earth’s animals will be extinct by 2100. While scientists and activists have spent recent decades publicizing information like this, it’s time to go beyond simply building awareness to scaling and replicating successful approaches to nature and biodiversity protection. Adventure companies find themselves at the intersection of conservation and business. It’s our responsibility to think beyond the bottom line, to think about best practices and partners for advancing conservation initiatives and about how we can use our platform with an increasing number of global tourists to build awareness and encourage action. Join us to hear from conservation leaders about how they’re applying creative approaches to mobilize and scale conservation — and get inspired to do the same in your business. 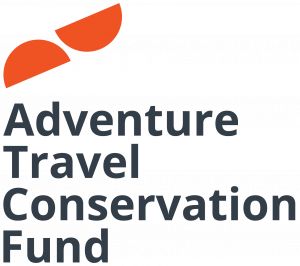 Attendees will also get an insider’s look at what the Adventure Travel Conservation Fund (ATCF) has been up to since its inception just prior to the 2016 Summit. Don’t miss your chance to experience the Initiation portion of The ATWS Hero’s Journey. Find seven minutes during the Summit to participate in Treehugger or In the Eyes of the Animal near the Azores lounge. While adventure travel is often heralded as a driver of rural economic growth, adventure industry champions generally suffer for a lack of quantitative data when trying to win strategic support from political partners and funders. So if your work involves justifying the strategic priority of adventure tourism at the regional or national level, you won’t want to miss this practical session on measuring adventure tourism’s economic impact. Join Edmund Morris, strategic advisor of USAID Jordan’s Local Enterprise Support Project (LENS), as he reveals a mathematical model that can be used by countries around the world to show the economic value of adventure tourism. This model, applied successfully by USAID and based on input-output tables readily available for most countries, offers a credible approach to justifying adventure industry investment. Morris will share details about how this model was developed and how it could be extended for use around the world. He’ll also provide case study information about Jordan and what the model revealed about the economic sectors driving the most growth in rural areas. With seemingly countless adventure travel options to choose from, how do consumers select the right travel provider, destination, accommodation, or activity for their needs? 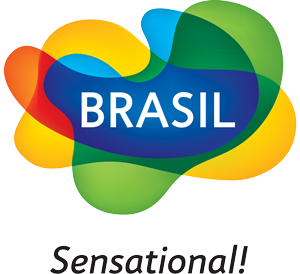 Many turn to the knowledge and expertise of travel advisers and tour operators. As a travel supplier, are you taking advantage of all the benefits these pros have to offer your business? And as a travel adviser, do you know how to find the right clientele and qualify new preferred adventure suppliers in order to increase your sales? Join fellow tour operators, accommodations and destination representatives, consultants and travel advisers to discuss and design value propositions that work for each link in the chain. In this workshop, we’ll explore best practices and expectations of each party, using real-world examples to highlight what works. Get ready to put your heads together and come up with creative solutions for successful partnership models and shared resources. This session reviews the latest research influencing the adventure travel industry today. You’ll get an in-depth look at the findings from ATTA’s recent research with East Carolina University and Outside Magazine, which provide new perspective on adventure travelers’ motivations and personality traits as well as today’s leading activities and destinations of interest. We’ll compare recent survey results with those from 2006, diving into what’s changed and what’s stayed the same. You’ll also hear from Charles Knowlton, U.S. General Manager of Topdeck Travel, a leading trip provider for millennials, as he shares information from a global survey of more than 30,000 travelers. Find out which activities and destinations top the millennial wish list, and learn about their spending and booking behaviors. Finally, sharpen your strategy for addressing the baby boomer segment, which represents the fastest growing population around the world. You’ll get insights from adventure industry educator, consultant and award-winning travel writer Don Mankin, who will share some of the latest research on baby boomer travel trends, including an Age Wave Inc. project he supported in 2016 for Merrill Lynch. If you’re interested in working with professional content creators to reach adventure travelers outside your existing network, this session is for you. You’ll learn how you can work with influencers in a variety of ways — from leveraging your own staff to enlisting the skills of new media influencers, such as bloggers, podcasters, YouTubers, and Instagrammers. There are creative options to fit your business’s needs and budget. In this session, you’ll get tips to help you think through your next, or first, influencer-focused marketing campaign and then take these learnings to create example campaigns along with your fellow delegates. You’ll walk away with innovative business ideas and, more importantly, real advice on costs, deliverables, expectations, and getting results that benefit your brand. Involving community players in planning and developing tourism. Supporting Indigenous communities to activate market-ready experiences. Creating awareness of rural, vulnerable and rarely visited areas that need tourism done right to thrive. Building operational standards to develop and execute sustainable tourism with communities’ interests at the foundation. 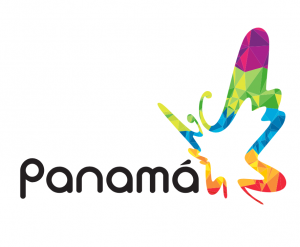 Innovating methods to ensure tourism puts economic value on cultural and ecological resources. During closing thoughts, the moderator will capture your feedback on the role all stakeholders, including the ATTA, can play in supporting indigenous tourism partnerships. In this panel discussion, you’ll get a range of expert perspectives on how to measure the success of branding and storytelling efforts, including written content and visual storytelling with photography and video. Through an array of case studies, you’ll learn how your business can begin linking revenue results to marketing efforts — and see that marketing doesn’t have to be expensive to be effective. From adventure operators, travel service providers, professional storytellers and destination marketing representatives—the presenters will share real campaigns from their work and how they measure their impact in a fun and engaging session. From the famous Inca ruins of Peru’s Machu Picchu Historical Sanctuary to the magnificent wildlife of South Africa’s Kruger National Park and the biodiversity of Australia’s Great Barrier Reef Marine Park — the planet’s national parks and protected spaces are attracting visitors at an unprecedented scale. As travel providers and destination representatives, the questions is: How can we showcase national treasures like these while supporting quality of place and promoting local conservation efforts? In this session, you’ll explore the adventure industry’s dual mission to help support conservation goals for our world’s precious places and deliver exceptional experiences for guests and visitors. Experts from around the world will share how they’ve tackled these sometimes conflicting priorities and will weigh in on the challenges we face, presenting real-time and long-term actions the adventure travel industry can take. The Asian outbound travel market continues to drive international tourism growth, with an 11 percent increase in outbound trips from 2015 to 2016. And within Asia, the China outbound market is one of the strongest, chalking up 18 percent growth in that same period. Join us to learn about this expanding market from two tour operators with extensive experience catering to Chinese outbound travelers. Presenters will offer a research-backed look at new trends in special interest trips favored by Chinese travelers and destinations peaking in interest, such as Mexico. Getting into practical matters, the panelists offer detailed information on what adventure companies can expect from Chinese adventure travelers with respect to their expectations around guide quality, language capability, and trip logistics. We’ll also discuss strategies for working with the younger generation of travelers from China who prefer to travel independently and the older generation of travelers who look for group trips led by a native speaker. The history of adventure … in 15 Minutes: This year’s Adventure in Motion film competition warms up with a light-hearted and innovative presentation on the history of adventure, recounted in the tradition of great campfire storytelling. Adventure veteran Jean-Claude Razel, of Alaya Expedições, will share tales of the accomplishments and foibles of some of our industry’s most famous and infamous forbears. Come gather round and hear the stories. Then sit back and enjoy a viewing of this year’s film competition finalists, submitted by your adventure colleagues and selected by our 2017 voting committee and consumers. We’ll wrap things up with a live audience vote for the 2017 grand prize winner! Adventure travel exists because of motivated leaders in our industry — those we work with today and those who have come before us. As we look to the challenges and opportunities our community must address in the coming years, it’s clear that the leaders we cultivate now will be tasked with tackling the important work of community development and nature and wildlife conservation begun in this era. That’s why today’s leaders must be courageous and intentional: empowering and promoting qualified women, mentoring and investing in youth, and measuring meaningful indicators of success. To guide us in these pursuits, we’ll hear from Sally McCoy, an exemplary leader from adventure’s sister industry, the outdoor gear and apparel industry. As the former CEO of CamelBak and Sierra Designs, VP of product and marketing at The North Face, and founding member of The Conservation Alliance and the Outdoor Industry Association (OIA), McCoy has been referred to as a “brilliant fixer and grower of companies.” Her no-nonsense, authentic and compassionate approach to leadership has enabled her to deliver impressive financial gains in the companies she’s led, as well as establish the sort of workplace cultures that breed leaders capable of guiding these companies successfully into the future. Today is your last day to experience the Initiation portion of The ATWS Hero’s Journey. Find seven minutes during the Summit to participate in Treehugger or In the Eyes of the Animal near the Azores lounge. ATTA’s MediaConnect sessions deliver a format that mixes tips on working with travel journalists, editors and influencers with the opportunity to connect with an impressive field of international media delegates. In each 90-minute session, seize the opportunity to meet specific media contacts and pitch stories or campaign ideas related to your adventure travel business. As the 2017 Adventure Travel World Summit comes to a close, reflect on your experience in Argentina with ATTA President Shannon Stowell. Conclude your Summit journey with Bella Gaia, a breathtaking audio-visual exploration that will transform your view of life on our beautiful Earth. Incorporating satellite imagery, timelapses, cultural heritage footage, NASA data visualizations, and an award-winning customized musical score, Bella Gaia will take you on a spectacular journey around the planet. Join us for this rare exploration of human civilization and our ecosystem through time and space as you prepare to unite, protect, and lead in your own way. 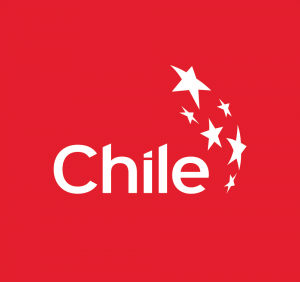 Women are invited to participate in a one-day leadership workshop following ATWS in Salta. Limited to 75 women. Attendance to the Studio is not included in Summit registration. Learn More, see the full day agenda, and access registration.